Back in January, Brandon and I were really good this year and prepared for Sundance. You know how you always want to go to Sundance movies, but then it’s suddenly already here and you try to just get standby tickets and then you’re just too lazy to wait in line for a couple hours, and then you just end up seeing NO movies?? Well, I found out that Ira Glass, host of This American Life, had helped produced a film based on Mike Birbiglia’s life. Birbiglia is a frequent contributor to TAL, and he’s a pretty funny dude. 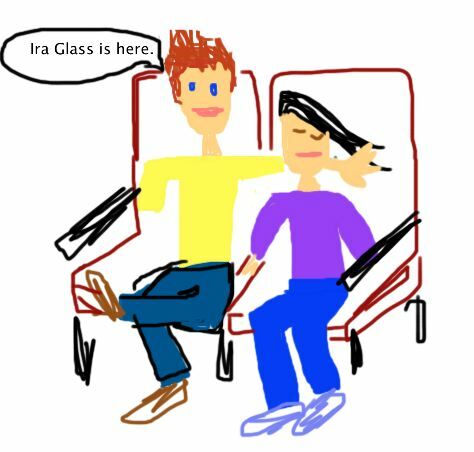 But, IRA GLASS, is like… the creator of one of my favorite things in life. It’s like meeting the person who thought of ice cream or… Swiffers. I mean, don’t you have so many things to say to these people? THANK YOU YOU’RE A GENIUS MY FLOORS HAVE NEVER BEEN EASIER TO CLEAN. RIGHT?? The movie is called Sleepwalk With Me, and it’s about how Mike B sleptwalk, yet refused to take care of it, paralleled with his love life and refusing to acknowledge the problems therein as well. 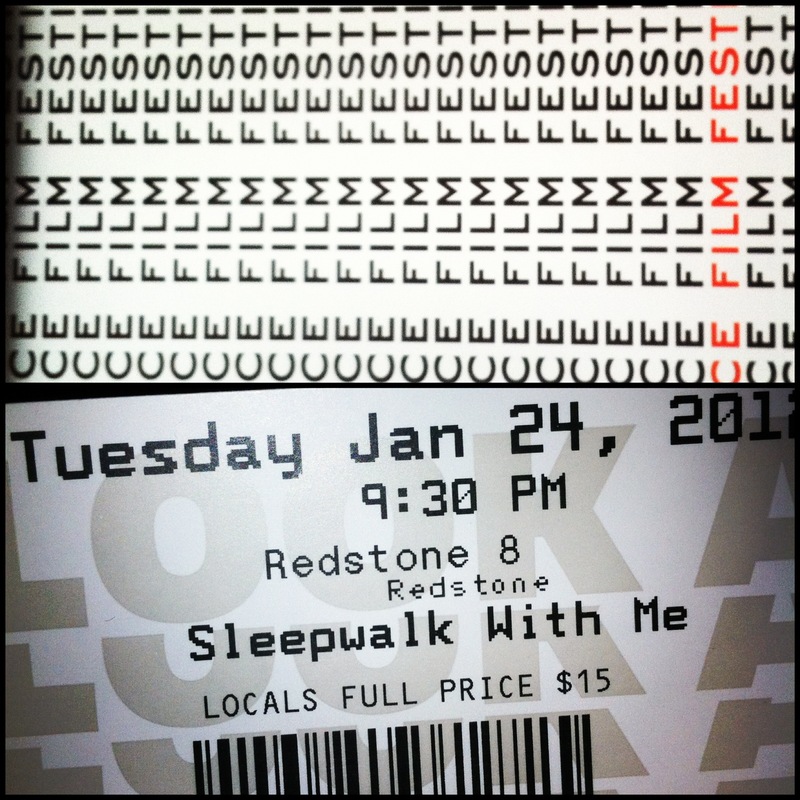 We saw it at the Redstone movie theater in Park City, for its second showing at the festival, aka, the first showing to people other than directors and actors and the VIP hoopla. 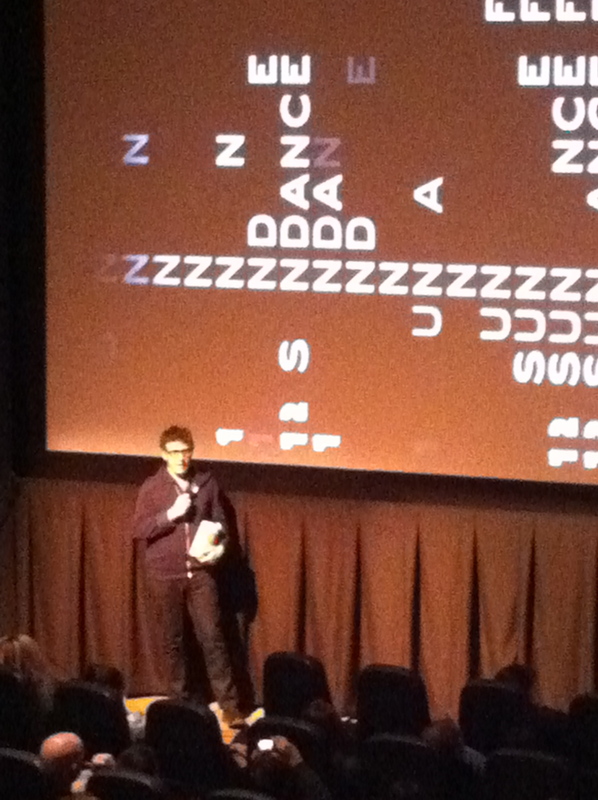 I truly only went for the chance that Ira Glass would be there. The showing was around 9:30, and I had been getting up early for class, commuting hours a day, and seeing late movies to try and pack as many in as I could. I was tired. I was leaning on Brandon before the show started, whining and nervous I wouldn’t be able to stay awake for the whole thing. 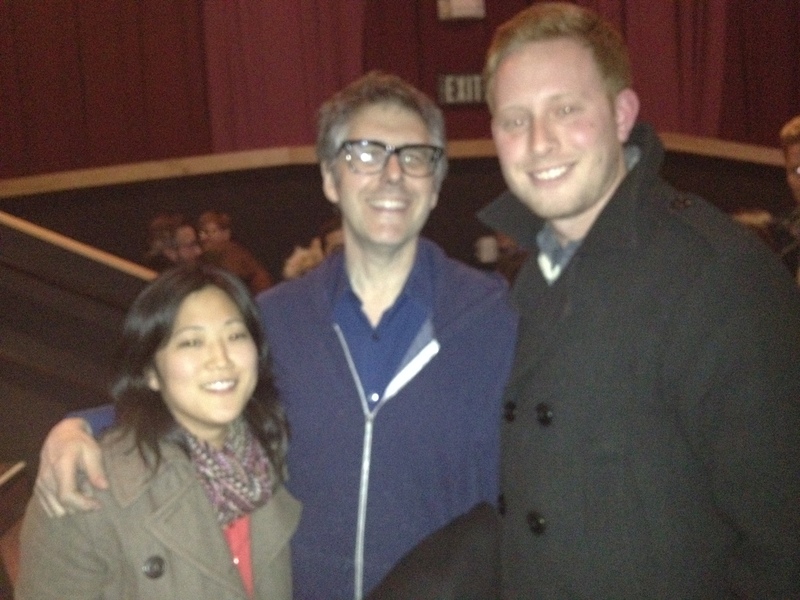 Ira Glass came into our movie theater. HE WALKED IN. TO OUR MOVIE THEATER. Brandon let me know because I was falling asleep on his shoulder, and I shot up, totally awake and babbling like a crazy person. NO HE’S NOT. WHERE IS HE? SHOW ME. Brandon was slightly offended because I was apparently more excited about Ira Glass than our engagement a couple months prior, but come on. That can’t be true. Anyway, this is getting wordy, but I just wanted to remember it, and I have no other form of remembering things than my own terrible memory and this here blog. So, during the whole film, I knew the Question and Answer was to follow. I had to think of a question and ASK IT. I WAS ABOUT TO TALK TO IRA GLASS. The more I write this, the sillier I feel about being so starstruck. Let me just say, I know. I’m embarrassed. On many levels. But, I thought of a question anyway, and I prefaced it with a lengthy declaration of my loyalty and fandom. Of course, due to all the groveling, I consequently had forgotten my question, and thankfully, people laughed, which gave me time to remember it. It didn’t really matter what it was, I didn’t care about it at all anyway. I just wanted to talk to these people. And I did. After the movie, Brandon and I went down to try and talk to him face-to-face. Glass was in the middle of wasting his time with some pre-teen who was convinced that accepting tips at a coffee shop was “blood money” and Ira just smirked a little and said, “… Really?” He said he had to go, and even though there were probably six people in front of us, Brandon used his manly strength to get us right in front of him and ask him for a quick picture. I was starstruck. I kept saying, “I think you’re so great. You’re really great. Thank you.” And nothing real was actually said. It was disappointing, but I realized later that there was no way I could have some meaningful exchange in two minutes. It just wasn’t going to happen. I guess I just have to save it for the day we sit down with him at dinner. 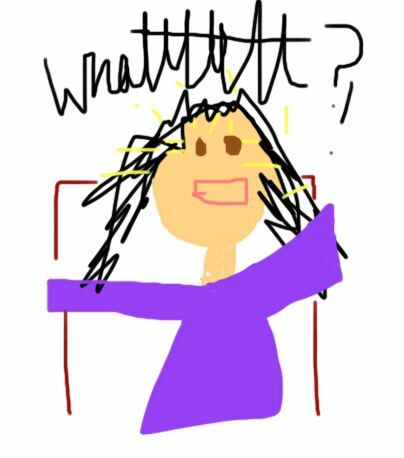 LOVE your drawings ha ha ha!